Home Blog Mirrorless VS DSLR Cameras, which is the best fit for you? A few years back, when serious photographers or photography enthusiasts had to buy themselves an elite camera they need not think much. DSLR would be their ultimate choice because there was no other better camera than DSLR. But lately, with the introduction of Mirrorless cameras, the scenario has changed and people are confused between them. If you want to grab the best one, then it is important that you understand the points associated with a DSLR vs Mirrorless camera. If you are considering buying a professional camera for self and are confused between choosing a DSLR or a Mirrorless camera, below mentioned differences between the two can make the picture clear and let you know which camera will be best suited for your purpose. As the name suggests, a mirrorless camera has no mirrors and hence provides a less complex mirror system as compared to DSLR. But it no way means that the pictures captured by mirrorless cameras are inferior to those captured by a DSLR. A mirrorless camera captures pictures with high definition and supreme quality. A DSLR has two mirrors; one blocks the sensor and allows you to see what you are actually capturing while the other mirror is used for phase detection focusing. Mirror not only adds weight to the camera but also adds up to the overall cost. Since DSLRs have been capturing the camera market for long, it is obvious that they offer a wide range of lenses to choose from. If lenses are of prime concern to you, then DSLR would be perfect for your needs as compared to mirrorless cameras the lens options offered are varied and one can never be disappointed with the quality and wide range of lens offered by DSLR. Though the lenses provided by Mirrorless camera are no less, they only lag behind in the options they provide in terms of lenses. It is very limited in case of mirrorless cameras. As mirrorless cameras have a short and compact body, the battery size is also accompanied with same physical features. Small batteries being used in mirrorless cameras drain out quickly which becomes a big turn off for travelers who are out for a long voyage. These batteries are available at reasonable price, but frequent quick battery drainage is sure to bother every photographer. DSLRs on the other hand, have a good battery backup and it can last for long hours. This is a plus point for DSLRs. If you are using DSLR, then the image being shown to you through the viewfinder is actually that is coming through the lens. The mirrors present in DSLR ease the process, as the mirror within DSLR reflects the image to the viewfinder. But as mirrorless cameras don’t have any mirror, the images are created electronically. The viewfinder in case of mirrorless cameras has the advantage of reflecting an image with shutter speed, ISO, white balance and several other in-camera settings. If you want to ascertain how easy a camera is to use in a field then always look out for three features: its size, its ability to shoot in a low-light environment, and its auto-focus capabilities. Undoubtedly, mirrorless cameras have an edge over DSLRs in case of size but the bulky lenses present in both cameras tend to diminish the difference between the two. However, if you want to consider size benefits, then mirrorless cameras should be your ultimate choice. If we talk about the picture quality, then you cannot compare mirrorless cameras and DSLRs, as both are capable to produce premium quality images. But the difference occurs in case of video recording quality. DSLRs have a varied range of lenses but not all models are capable of producing 4k or Ultra HD Quality videos. For that, you will have to shed thousands of extra dollars to get the premium DSLR model. Whereas in case of mirrorless cameras, one can get affordable cameras having the ability to produce Ultra HD Quality videos. So, mirrorless cameras have an edge over DSLR in this case. DSLRs use a technology that quickly measures the convergence of two beams of light. The technology is called phase detection. Whereas mirrorless cameras use contrast detection that uses the image sensor to detect the highest contrast, that coincides with focus. If we compare the technology, then contrast detection is considerably slower than phase detection. Hence, if you want to greater autofocus speed, then DSLRs should be your choice. In case of DSLR, the optical viewfinder shows the exact image that you are capturing and mirrorless cameras give a preview of the image on-screen. As mirrorless cameras don’t have a mirror, so some models offer electronic viewfinder that stimulates the optical viewfinder. DSLRs can replicate a mirrorless camera simply by raising the mirror and viewing a live preview of the image that is being captured. Shaky hands can make your perfect captures a big fail. It is unavoidable and can occur at anytime while taking pictures. Image stabilization works a great deal for coping up with shaky hands and blurred images. But image stabilization work only with cameras that have lenses built in the camera and are compatible with every available lens. Both mirrorless camera and DSLR offer image stabilization feature but mirrorless cameras stand a step ahead DSLRs in this case. Mirroless cameras offer 5-axis images stabilization, which is a feature yet to be found in DSLR. Both DSLR and mirrorless camera have a fast shutter speed and can capture multiple pictures quickly. In terms of shooting speed, mirrorless cameras have an extra edge over DSLR, as the absence of mirrors makes it easier to take images one after another. Moreover, mirrorless cameras use a mechanical shutter, that uses a physical shutter to lift and expose the image and it produces much better results. Even the electronic shutter can be used which facilitates shooting quickly and silently. 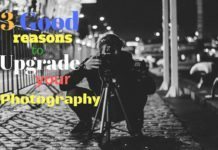 It totally depends upon respective photographer’s specification, what they consider to be of prime concern in a camera that will be the deciding factor for choosing between a mirrorless camera and a DSLR. There are some pros and cons in both cameras, so decide accordingly. The above-stated points regarding DSLR vs mirrorless are sure to give you a clearer view and help you decide on the type of camera that is perfect for you.